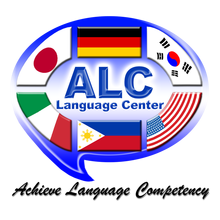 ALC Language Tutorial Center, located right here in Dasmariñas City, Cavite, would like to introduce you to our quality language learning services which may suit your needs. We offer extensive learning programs which can help you to achieve excellence in your chosen area of language and culture. Learning a foreign language is an achievement which can open doors of opportunity for you, leading to pathways of success and prosperity for all types of business in our country. Our company was established this year to offer quality learning programs to businesses in the Dasmarinas area. Our modern facilities are conveniently located at #15 3rd Floor Camerino Avenue Dasmarinas City. We have engaged skilled and highly professional instructors who will guide clients in learning and understanding foreign languages and cultures with complete confidence.